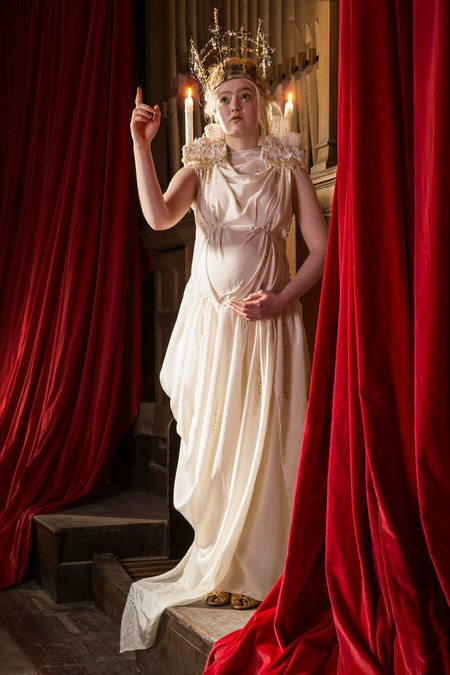 Aficionados of the performing arts, keen to cast their cultured eye over the next generation of costumers would be well served to clear their diaries between 18-20 May, when Edinburgh College of Art will be presenting their Performance Costume show for 2016. The final year students will combine their creative flair and technical prowess to mastermind evocative performances inspired by a myriad of interpretive mediums, from theatre and opera to music video and installation. Poppy Anne Richards' first project is inspired by the seminal gothic novel Notre-Dame de Paris by Victor Hugo. Drawing inspiration from the grandiose architecture of Notre-Dame cathedral itself, Richards has designed a costume for the Virgin Mary as a symbol of fate, crucial to the tragic narrative, simultaneously depicting the birth of Jesus and his inevitable death. For her second project, she has created a costume for the character Barrington, the socialist hero of Robert Tressell's novel The Ragged-Trousered Philanthropists, integrating themes of Scottish working class history, traditional industries and the socio-political struggles of the 20th century, with particular focus on Thatcher's effect on Scotland and the struggle of the miners in 1984-1985. Injecting her work with a sense of humour and playfulness, Rosie Whiting takes inspiration from two contrasting gender-based ideas. Paying homage to Caryl Churchill's play Top Girls, Whiting presents an immersive, theatrical experience in which the audience dine alongside Louise Bourgeois, Nina Simone, Emmeline Pankhurst, Mata Hari, Marie Curie, Amelia Earhart, Conchita Cintron, Martha Graham and host Marlene – a performance that questions the relationship between women, work, fame and finding a place for feminism in the 21st Century. In Boys, a film and performance installation based on Dunsinane by David Greig, Whiting offers a vehicle with which to explore the relationship between boys, visual stereotypes of manliness and the pointless nature of war, all held together by the powerful narrative of the letters that serving boy soldiers sent to their mothers. Zoe Longbottom uses design to reimagine the traditional context of a story. Drawing inspiration for her practice from two well-known fiction books, she skews the preconceived narrative and provides a comment on male society throughout history, focusing firstly on the iconic character of Peter Pan from J.M.Barrie's novel of the same name. Longbottom's reincarnation takes place in a nightmarish post-apocalyptic world which twists the perspective of the story, imagining Peter as an evil spirit that steals children and takes them to Neverland. She visualises the theme of time using clockwork and skeletal elements to reference time standing still in Neverland. Her second project was based on The Wind in the Willows by Kenneth Grahame: using bright colours and bold prints she emphasizes the flamboyance and eccentricity of the characters and used exaggerated silhouettes to implicate their animal traits. Drawing inspiration from the Laxdæla Saga, an Icelandic folk tale, Jessica Van Tromp's first project focuses on the romantic epic's central love triangle. Revolving around the beautiful Gudrun, it intersects with the saga's further themes of jealousy and hatred. Emphasizing the strong sense of place, the Icelandic landscapes play a major role in the development of this work, and the use of natural dyes and fabrics strive to establish a level of authenticity in the final aesthetic. Her next project focuses on the fairy queen Selene from The Happy Land by W.S. Gilbert. Using whimsical colours and opulent fabrics, JVan Tromp hints at a lavish fairy world, while simultaneously paying homage to the burlesque beginnings of Gilbert's play in a refreshingly literal manner. Georgia Adele Noble's first project was inspired by Sara Gruen's Water for Elephants, a 1930s love story set in the vivid world of the circus. 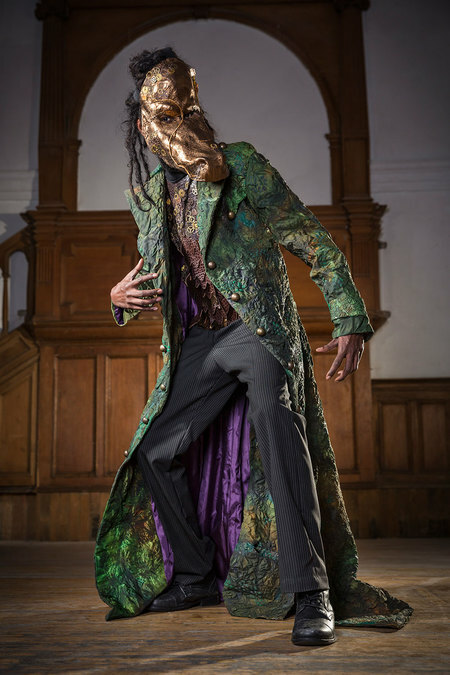 Informing the work with rich embellishments, contrasting colour palettes and exaggerated shapes, the circus's rich aesthetics are only added to by the enigmatic characters, particularly the ringleader August. Next Noble tackles the opera Turandot by Giacomo Puccini. 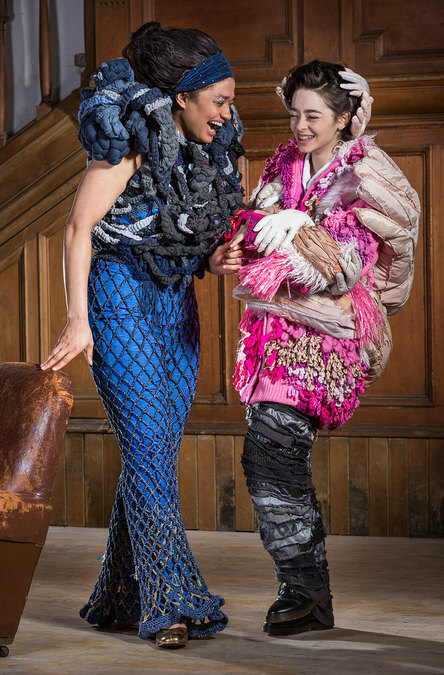 This powerful and tragic love story was a sentimental choice, and Noble hopes to help opera become accessible for a modern audience without undermining its inherent glory through transformative design, combining intricate colours and textile details with contemporary evolutions of traditional silhouettes.